Finding the perfect gift for each person on your list, and within your budget, can be a challenge. Luckily, we’ve got some ideas for managing the process and helping to keep costs down. 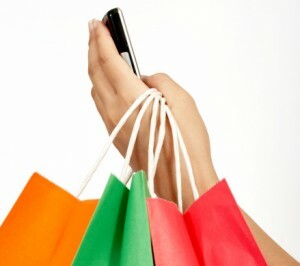 When shopping online, visit coupon websites, such as retailmenot.com for discount codes and free shipping offers. Google Shopping is a simple way to aggregate all online prices for a particular item, including shipping, into one page. Simply search for what you’re looking for and Google Shopper will list all online availability with pricing totals. Slice App enables you to track and organize all of your online shopping, including receipts, shipping and arrival tracking, and order details. When shopping in store, use RedLaser to scan the bar code and ensure that you’re getting the best available price on the market. The Coupons App is an excellent tool for locating coupons for nearby brick and mortar stores. SnapTell let’s shoppers compare items on store shelves with Amazon.com prices. If you’re planning on shipping the gift anyways, you may as well buy it online and save the hassel. Gift Plan is the perfect app for anyone who wants to keep an organized gift list on-the-go. It even syncs with your calendar for future birthday and holiday reminders. We hope these apps will help keep your organized and within budget this holiday season.